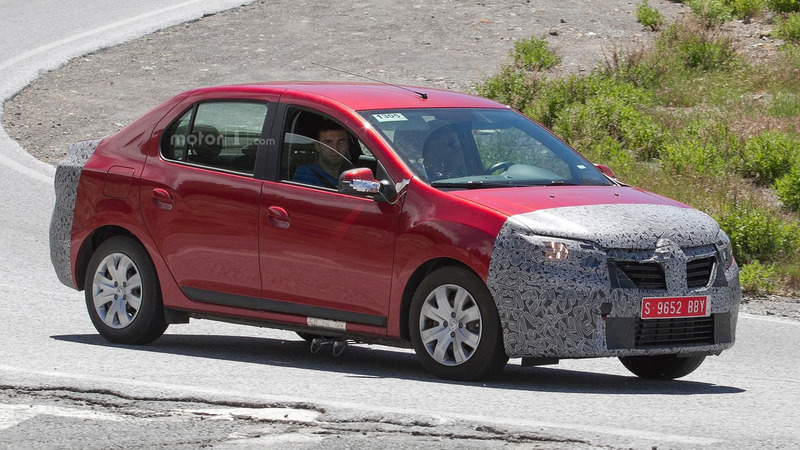 Judging from the earlier spy photos, Dacia wants to revise the style of the Sandero supermini, the sedan and wagon versions of the Logan. Romania’s affordable trio will feature a somewhat revised front fascia along with new headlamp graphics, a new front bumper and a radiator enclosure inspired by the Duster. Expect lesser trims to receive turn signals placed into side mirrors. By the way, they are reserved for the high-end Prestige trim. At the rear part of both Logans you will find the provisional exhaust set-up suggesting that the brand will add a new motor to the family. We hope it will be a petrol unit featuring more power. Therefore, it might be the 1.2-litre turbocharged TCe engine generating 125 hp that is used in the Duster. We have not seen the interior snaps yet. We think that the cabin will be refreshed with new upholsteries and trims. The Logan MCV and Sedan together with the Sandero hatch from Dacia will debut this October in Paris and will be marketed in the end of 2016.